It’s not often you get the opportunity to hear an overly talented band who can write deep, moving songs that touch your heart. 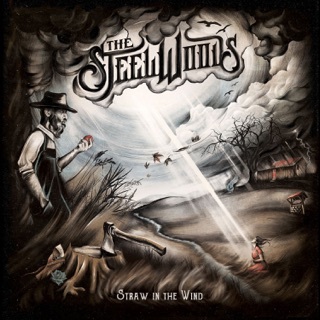 The Steels Woods, tagged a deep Southern Rock band is more. Listen to them. Listen to the lyrics they write. They are deep. You’ll hear blues, country, southern rock and a soulful southern gospel sound too. I can’t wait to hear this new album fully. Straw in the Winds was a definite 5 star, Old News is too — so I would be highly surprised if this sophomore album would be any less. January cannot get here fast enough! 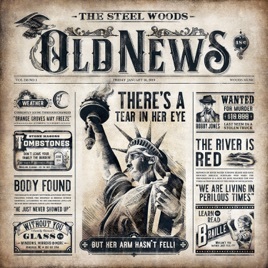 Old News gave me chills the very first time hearing it. I just wanna hear the rest of the album but I know it'll be worth 5 stars!!! The only word I can think of to describe this album is refreshing. The country pop radio and Hollywood stars that infiltrated have ruined modern day country. This album gets back to the deep, soulful and heartfelt songs. These songs tell stories in conjunction with meaty guitar riffs and emotional vocals. The more you listen, the better they get. There are no songs that seem to be “fillers” and bore me. Each song is a new experience. I look forward to their future releases.